The findings, published in the November 30 issue of Nature Communications, revealed an error field — or deviation from the designed configuration — of less than one part in 100,000. Such results could become a key step toward verifying the feasibility of stellarators as models for future fusion reactors. W7-X, for which PPPL is the leading U.S. collaborator, is the largest and most sophisticated stellarator in the world. Built by the Max Planck Institute for Plasma Physics in Greifswald, it was completed in 2015 as the vanguard of the stellarator design. Other collaborators on the U.S. team include DOE’s Oak Ridge and Los Alamos National Laboratories, along with Auburn University, the Massachusetts Institute of Technology, the University of Wisconsin-Madison and Xanthos Technologies. Stellarators confine the hot, charged gas, otherwise known as plasma, that fuels fusion reactions in twisty — or 3D — magnetic fields, compared with the symmetrical — or 2D –fields that the more widely used tokamaks create. The twisty configuration enables stellarators to control the plasma with no need for the current that tokamaks must induce in the gas to complete the magnetic field. Stellarator plasmas thus run little risk of disrupting, as can happen in tokamaks, causing the internal current to abruptly halt and fusion reactions to shut down. PPPL has played key roles in the W7-X project. The Laboratory designed and delivered five barn door-sized trim coils that fine-tune the stellarator’s magnetic fields and made their measurement possible. “We’ve confirmed that the magnetic cage that we’ve built works as designed,” said Lazerson, who led roughly half the experiments that validated the configuration of the field. “This reflects U.S. contributions to W7-X,” he added, “and highlights PPPL’s ability to conduct international collaborations.” Support for this work comes from Euratom and the DOE Office of Science. The W7-X is the most recent version of the stellarator concept, which Lyman Spitzer, a Princeton University astrophysicist and founder of PPPL, originated during the 1950s. Stellarators mostly gave way to tokamaks a decade later, since the doughnut-shaped facilities are simpler to design and build and generally confine plasma better. But recent advances in plasma theory and computational power have led to renewed interest in stellarators. Sam Lazerson in front of a stellarator model at PPPL that was built for the 1958 “Atoms for Peace Conference” in Geneva. (Photo by Elle Starkman/PPPL Office of Communications). As excitement builds around the first plasma, scheduled for December, on the Wendelstein 7-X (W7-X) experiment in Greifswald, Germany, PPPL physicist Sam Lazerson can boast that he has already achieved results. Lazerson, who has been working at the site since March, mapped the structure of the magnetic field, proving that the main magnet system is working as intended. This was achieved using the trim coils that PPPL designed and had built in the United States. He presented his research at the APS Division of Plasma Physics Conference in Savannah, Georgia, on Nov. 18. PPPL leads U.S. laboratories that are collaborating with the Max Planck Institute for Plasma Physics in experiments on the W7-X, the largest and most advanced stellarator in the world. It will be the first optimzed stellarator fusion facility to confine a hot plasma in a steady state for up to 30 minutes. In doing so, it will demonstrate that an optimized stellarator could be a model for future fusion reactors. Stellarators are fusion devices that use twisting, potato chip-shaped magnetic coils to confine the plasma that fuels fusion reactions in a three-dimensional and steady-state magnetic field. Stellarators are not subject to disruption of the current that completes the magnetic confinement as are traditional donut-shaped tokamaks. Such disruptions can halt fusion reactions. PPPL has played a key role in the development of W7-X and leads the U.S. collaboration on the experiment under a 2014 agreement between the U.S. Department of Energy and the Max Planck Institute for Plasma Physics. PPPL physicists and engineers designed and delivered the five 2,400-pound trim coils that fine-tune the shape of the plasma in fusion experiments. In addition, PPPL physicists Novimir Pablant and engineer Michael Mardenfeld designed and built an X-ray crystal spectrometer for the experiment that was one of several diagnostics created by U.S. researchers from PPPL, Los Alamos National Laboratory, and Oak Ridge National Laboratory. PPPL engineers led by Doug Loesser are building two divertor scraper units, a device designed in collaboration with Oak Ridge to intercept heat coming from the plasma to protect against damage to the W7-X divertor targets. Neilson was at the Max Planck Institute from July of 2014 to April and helped pave the way for American researchers as coordinator of the U.S. collaboration on W7-X. Gates, who is the stellarator physics leader at PPPL, has traveled to Germany several times to manage the U.S. research program. “Dave’s leadership is critical to ensuring that Sam and other PPPL physicists are strongly engaged in important W7-X research tasks,” Neilson said. Lazerson arrived last March and has been working with a team that has been designing and analyzing experiments that map the stellarator’s magnetic field. Lazerson used a diagnostic designed by physicist Matthias Otte of the Max Planck Institute. It consists of two fluorescent rods inserted into the W7-X vacuum vessel, one of which emits an electron beam. This beam causes the other fluorescent rod to glow and trace the pattern of electrons moving around the magnetic field. Cameras in W7-X capture the glowing rod as it tracing the field. The recorded image allows researchers to determine whether the stellarator’s massive magnets are have the required accuracy and whether the trim coils designed by PPPL are producing the intended results. The coils are designed to control “error fields” that can be used to create and manipulate a chain of magnetic islands that are located at the edge of the plasma and serve to distribute heat evenly among the 10 divertors that exhaust heat from the plasma. The trim coils can shrink or grow the magnetic islands, depending on how strong a magnetic field is applied. The photographs allow researchers to calculate the size of these small islands. By varying the trim coil current, researchers can check that the size of the islands is changing as expected, enabling researchers to determine if there are error fields in the main magnet system. The Lazerson family, which includes Lazerson’s wife Meghan and the couple’s five-year-old daughter Samantha, live in Greifswald, where Lazerson can bike to work and take Samantha to the local kindergarten by bicycle. Greifswald is a university town in northeastern Germany that began in the 15th century, when it was part of Sweden. It is not far from a beach on the Baltic Sea and is about two-and-a-half hours from Berlin. Lazerson said he has often had visits from Neilson and Gates, as well as DOE officials who have stopped in to see the project’s progress. 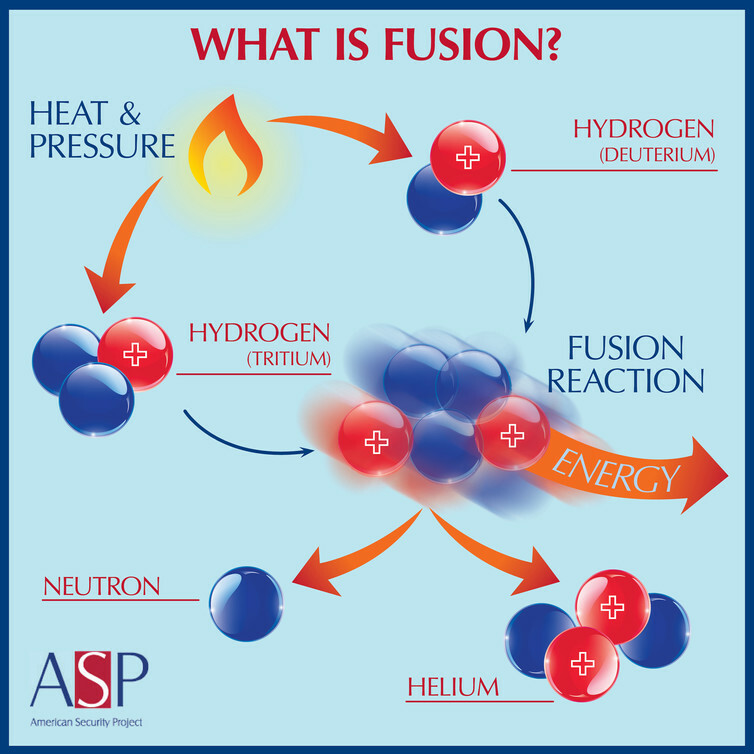 If you’ve heard of fusion energy, you’ve probably heard of tokamaks. These doughnut-shaped devices are meant to cage ionized gases called plasmas in magnetic fields while heating them to the outlandish temperatures needed for hydrogen nuclei to fuse. Tokamaks are the workhorses of fusion—solid, symmetrical, and relatively straightforward to engineer—but progress with them has been plodding. Now, tokamaks’ rebellious cousin is stepping out of the shadows. In a gleaming research lab in Germany’s northeastern corner, researchers are preparing to switch on a fusion device called a stellarator, the largest ever built. The €1 billion machine, known as Wendelstein 7-X (W7-X), appears now as a 16-meter-wide ring of gleaming metal bristling with devices of all shapes and sizes, innumerable cables trailing off to unknown destinations, and technicians tinkering with it here and there. It looks a bit like Han Solo’s Millennium Falcon, towed in for repairs after a run-in with the Imperial fleet. Inside are 50 6-tonne magnet coils, strangely twisted as if trampled by an angry giant. Although stellarators are similar in principle to tokamaks, they have long been dark horses in fusion energy research because tokamaks are better at keeping gas trapped and holding on to the heat needed to keep reactions ticking along. But the Dali-esque devices have many attributes that could make them much better prospects for a commercial fusion power plant: Once started, stellarators naturally purr along in a steady state, and they don’t spawn the potentially metal-bending magnetic disruptions that plague tokamaks. Unfortunately, they are devilishly hard to build, making them perhaps even more prone to cost overruns and delays than other fusion projects. “No one imagined what it means” to build one, says Thomas Klinger, leader of the German effort. W7-X could mark a turning point. The machine, housed at a branch of the Max Planck Institute for Plasma Physics (IPP) that Klinger directs, is awaiting regulatory approval for a startup in November. It is the first large-scale example of a new breed of supercomputer-designed stellarators that have had most of their containment problems computed out. If W7-X matches or beats the performance of a similarly sized tokamak, fusion researchers may have to reassess the future course of their field. “Tokamak people are waiting to see what happens. There’s an excitement around the world about W7-X,” says engineer David Anderson of the University of Wisconsin (UW), Madison. Wendelstein 7-X, the first large-scale optimized stellarator, took 1.1 million working hours to assemble, using one of the most complex engineering models ever devised, and must withstand huge temperature ranges and enormous forces. Stellarators face the same challenge as all fusion devices: They must heat and hold on to a gas at more than 100 million degrees Celsius—seven times the temperature of the sun’s core. Such heat strips electrons from atoms, leaving a plasma of electrons and ions, and it makes the ions travel fast enough to overcome their mutual repulsion and fuse. But it also makes the gas impossible to contain in a normal vessel. Instead, it is held in a magnetic cage. A current-carrying wire wound around a tube creates a straight magnetic field down the center of the tube that draws the plasma away from the walls. To keep particles from escaping at the ends, many early fusion researchers bent the tube into a doughnut-shaped ring, or torus, creating an endless track. But the torus shape creates another problem: Because the windings of the wire are closer together inside the hole of the doughnut, the magnetic field is stronger there and weaker toward the doughnut’s outer rim. The imbalance causes particles to drift off course and hit the wall. The solution is to add a twist that forces particles through regions of high and low magnetic fields, so the effects of the two cancel each other out. Stellarators impose the twist from outside. The first stellarator, invented by astro-physicist Lyman Spitzer at Princeton University in 1951, did it by bending the tube into a figure-eight shape. But the lab he set up—the Princeton Plasma Physics Laboratory (PPPL) in New Jersey—switched to a simpler method for later stellarators: winding more coils of wire around a conventional torus tube like stripes on a candy cane to create a twisting magnetic field inside. In a tokamak, a design invented in the Soviet Union in the 1950s, the twist comes from within. Tokamaks use a setup like an electrical transformer to induce the electrons and ions to flow around the tube as an electric current. This current produces a vertical looping magnetic field that, when added to the field already running the length of the tube, creates the required spiraling field lines. Both methods work, but the tokamak is better at holding on to a plasma. In part that’s because a tokamak’s symmetry gives particles smoother paths to follow. In stellarators, Anderson says, “particles see lots of ripples and wiggles” that cause many of them to be lost. 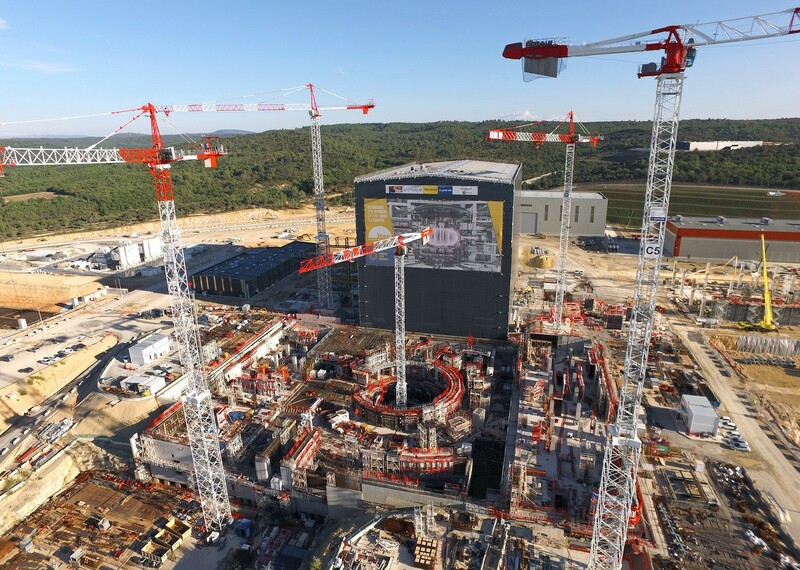 As a result, most fusion research since the 1970s has focused on tokamaks—culminating in the huge ITER reactor project in France, a €16 billion international effort to build a tokamak that produces more energy than it consumes, paving the way for commercial power reactors. But tokamaks have serious drawbacks. A transformer can drive a current in the plasma only in short pulses that would not suit a commercial fusion reactor. Current in the plasma can also falter unexpectedly, resulting in “disruptions”: sudden losses of plasma confinement that can unleash magnetic forces powerful enough to damage the reactor. Such problems plague even up-and-coming designs such as the spherical tokamak (Science, 22 May, p. 854). Stellarators, however, are immune. Their fields come entirely from external coils, which don’t need to be pulsed, and there is no plasma current to suffer disruptions. Those two factors have kept some teams pursuing the concept. 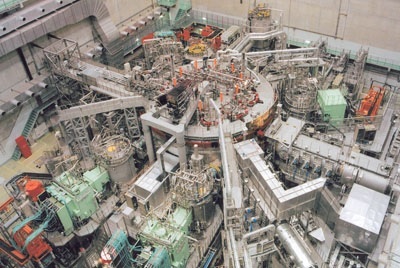 The largest working stellarator is the Large Helical Device (LHD) in Toki, Japan, which began operating in 1998. Lyman Spitzer would recognize the design, a variation on the classic stellarator with two helical coils to twist the plasma and other coils to add further control. The LHD holds all major records for stellarator performance, shows good steady-state operation, and is approaching the performance of a similarly sized tokamak. Two researchers—IPP’s Jürgen Nührenberg and Allen Boozer of PPPL (now at Columbia University)—calculated that they could do better with a different design that would confine plasma with a magnetic field of constant strength but changing direction. Such a “quasi-symmetric” field wouldn’t be a perfect particle trap, says IPP theorist Per Helander, “but you can get arbitrarily close and get losses to a satisfactory level.” In principle, it could make a stellarator perform as well as a tokamak. The design strategy, known as optimization, involves defining the shape of magnetic field that best confines the plasma, then designing a set of magnets to produce the field. That takes considerable computing power, and supercomputers weren’t up to the job until the 1980s. The first attempt at a partially optimized stellarator, dubbed Wendelstein 7-AS, was built at the IPP branch in Garching near Munich and operated between 1988 and 2002. It broke all stellarator records for machines of its size. Researchers at UW Madison set out to build the first fully optimized device in 1993. The result, a small machine called the Helically Symmetric Experiment (HSX), began operating in 1999. 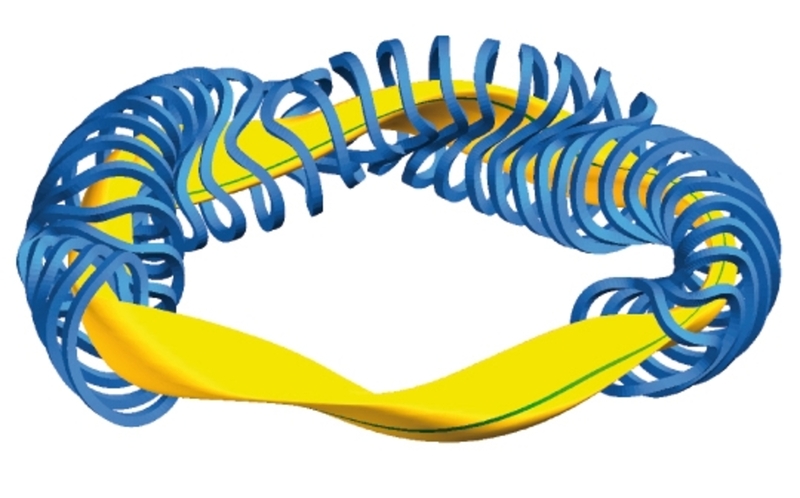 “W7-AS and HSX showed the idea works,” says David Gates, head of stellarator physics at PPPL. That success gave U.S. researchers confidence to try something bigger. PPPL began building the National Compact Stellarator Experiment (NCSX) in 2004 using an optimization strategy different from IPP’s. But the difficulty of assembling the intricately shaped parts with millimeter accuracy led to cost hikes and schedule slips. In 2008, with 80% of the major components either built or purchased, the Department of Energy pulled the plug on the project (Science, 30 May 2008, p. 1142). “We flat out underestimated the cost and the schedule,” says PPPL’s George “Hutch” Neilson, manager of NCSX. Wendelstein 7-X’s bizarrely shaped components must be put together with millimeter precision. All welding was computer controlled and monitored with laser scanners. BACK IN GERMANY, the project to build W7-X was well underway. The government of the recently reunified country had given the green light in 1993 and 1994 and decided to establish a new branch institute at Greifswald, in former East Germany, to build the machine. Fifty staff members from IPP moved from Garching to Greifswald, 800 kilometers away, and others made frequent trips between the sites, says Klinger, director of the Greifswald branch. New hires brought staff numbers up to today’s 400. W7-X was scheduled to start up in 2006 at a cost of €550 million. By 2003, W7-X was in trouble. About a third of the magnets produced by industry failed in tests and had to be sent back. The forces acting on the reactor structure turned out to be greater than the team had calculated. “It would have broken apart,” Klinger says. So construction of some major components had to be halted for redesigning. One magnet supplier went bankrupt. The years 2003 to 2007 were a “crisis time,” Klinger says, and the project was “close to cancellation.” But civil servants in the research ministry fought hard for the project; finally, the minister allowed it to go ahead with a cost ceiling of €1.06 billion and first plasma scheduled for 2015. After 1.1 million construction hours, the Greifswald institute finished the machine in May 2014 and spent the past year carrying out commissioning checks, which W7-X passed without a hitch. Tests with electron beams show that the magnetic field in the still-empty reactor is the right shape. “Everything looks, to an extremely high accuracy, exactly as it should,” IPP’s Thomas Sunn Pedersen says. Approval to go ahead is expected from Germany’s nuclear regulators by the end of this month. The real test will come once W7-X is full of plasma and researchers finally see how it holds on to heat. The key measure is energy confinement time, the rate at which the plasma loses energy to the environment. “The world’s waiting to see if we get the confinement time and then hold it for a long pulse,” PPPL’s Gates says.